Club Penguin Cheats by Mimo777 Club Penguin Cheats by Mimo777: Club Penguin Nyan Puffle Part 2 Video! This time, they want us to vote on which puffle they make a video about next. Hmmm, I'm kinda thinking the white puffle. How 'bout you? 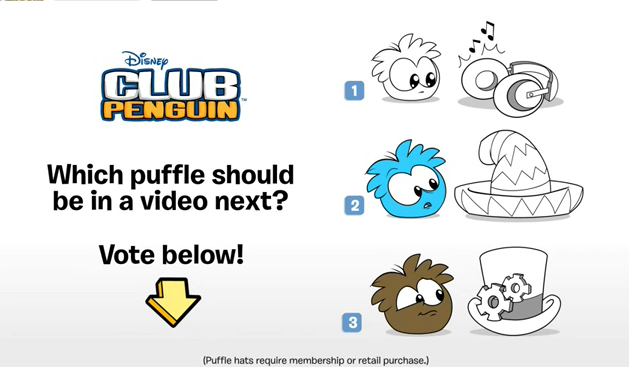 What puffle do you want them to make a vid about? hey mimo, at the membership thing it says coming in november- card jitsu party and tornument. check it out, mabey you could write a blog about it? The brown puffle's hat looks like it's from the 50's and the modern stuffs mixed together lol. U should have the white puffle!